The world of survey research and data collection is ripe with new opportunities to enhance and streamline operations. From drones to body sensors to mobile applications, technology is having a broad impact on the world of research. 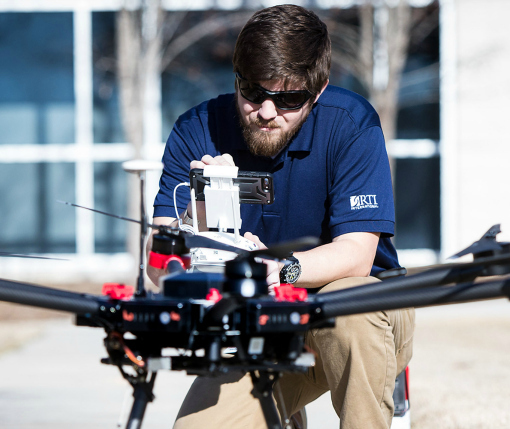 RTI is leading the way in leveraging drones to collect data and survey research, and we continue to develop new applications and online tools for enhancing and streamlining data collection processes. For example, our Cannabis Convo app leverages the latest technology to track social media trends around marijuana while our Address-Based Sampling app helps survey researchers better target specific populations. At the same time, we are pushing the boundaries on what data can be collected and analyzed. In one example, we are using biosensors to study how humans respond to stressful situations, notably those encountered by police officers. We will be showcasing these technological achievements during the AAPOR Annual Meeting, and we encourage you to visit us in Booth 32 to learn more about how you can take advantage of new technology to advance your survey research and data collection, as well as enter a drawing for a chance to win a drone.